The first Vietnam travel tip: shop at the local markets. The challenge for Vietnam visitors like us–Americans old enough to have lived through the war or at least to recall the nightly news images–is to acknowledge those memories and then let them go. First-time visitors, especially, will want to get out of their own heads and embrace today’s Vietnam, its people and food and culture…but mostly its people. This isn’t difficult because, as we found, locals throughout the country are eager to meet and welcome you. We traveled on our own to Vietnam in 2012 and had no problems getting around, but I imagine we could have seen a lot more with a little guidance. So from our experience and checking out options offered by InsideVietnam Tours, we’ve assembled these tips for your well-rounded Vietnam itinerary. Vietnamese food is my favorite cuisine in the world. There’s no better way to combine one-on-one conversations with local cultural experiences than preparing a meal together. An impromptu cooking class in Hoi An was one of the highlights of our visit. The best cooking tours combine a trip to the market to shop for ingredients, time to chat while prepping the meal, and of course sitting down to enjoy the fruits of your labor. 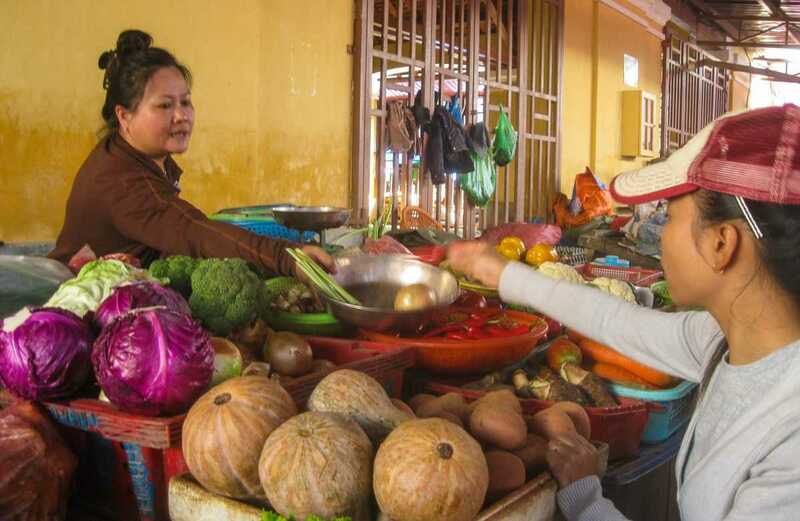 We recall our local guide selecting her preferred vendors at the market, and also handing over some change to a market regular, a disabled woman who “needs our help” to support her family at home. Back in the restaurant kitchen, we were able to meet our guide’s mother, who was the full-time chef for the restaurant, all day every day. The cooking was fun, the food was delicious, and the experience best of all. With a little more time, we certainly would have looked into bike tours through Vietnam’s countryside. As it was, we rented bikes for a day in Hoi An and enjoyed cycling through the rice fields to the beach. The long beaches near Da Nang would make for good riding, as would the mountain trails around Sapa in the North. 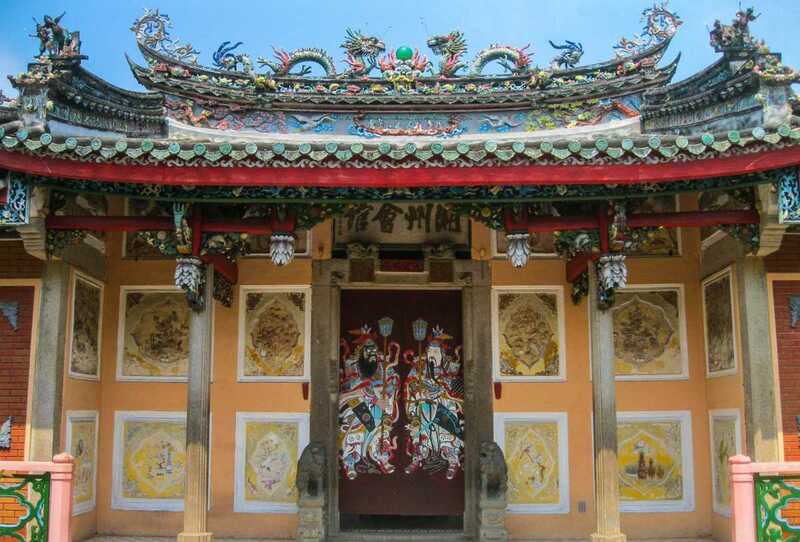 Check out this InsideVietnam”s Hoi An page for more ideas in the area. Uncharacteristically, we missed another great option to get out on the water and visit the UNESCO World Heritage Site of Halong Bay. Always taken by the mysterious images of mountains rising out of misty waters, we’ll need to allow enough time on the bay to photograph morning, noon and night. Next time. Our best recommendation for your visit to Vietnam is to make certain you meet local people and have the time to interact. This is simple with an arranged home stay. Or you can engage in classes–especially in small villages–to enjoy learning local crafts while contributing to the local economy. In many cases, you can combine these options, and I’m pretty sure these will be the experiences you will value the most. Besides agricultural approaches, there are many arts and crafts practices that illustrate Vietnam’s sustainable local economy. We’re drawn to Vietnam’s textile work, and enjoy seeing how the designs vary in different parts of the country. Kite or lantern-making look like fun, and you can browse other arts and craft itinerary options here. Another option is to visit the Bho Hoong villages, if you are prepared to do so properly. The Bho Hoong are an ethnic minority of Vietnam, and a visit to this hill tribe may feel a bit like gawking. The trade-off is that tourism does help sustain these people and their culture. InsideVietnam offers a home stay option in the Bho Hoong Village, which would go a long way to understanding the ways in which the villagers continue their customs while also adapting to change. Now back to that bit about acknowledging our past responsibilities and moving on: A few key visits will not only help you revisit the American War (what we call the Vietnam War), but take you back through centuries of wars and cultural history that really illuminate today’s Vietnam. For the starkest remembrances of the war, visit these two monuments. 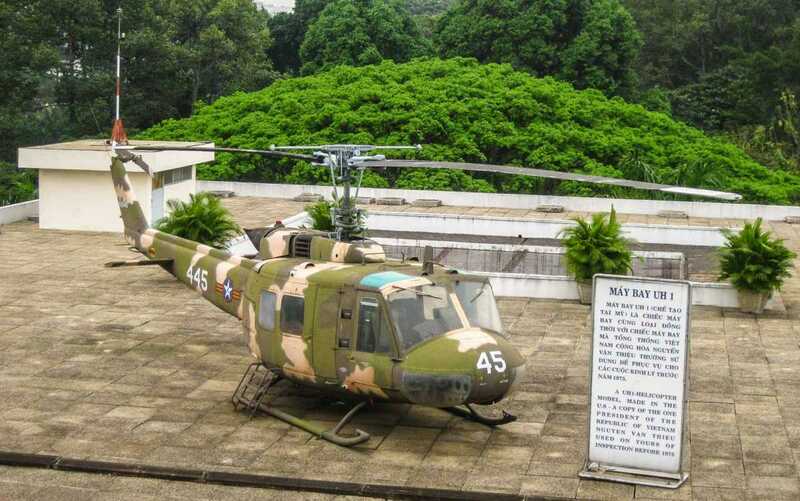 In the Reunification Palace, period rooms and the jarringly familiar views of the building’s exterior are punctuated with helicopters and armored vehicles parked outside. In the War Remnants Museum, we visited an exhibit about Agent Orange, and were especially moved by the photography exhibit, “Requiem,” a collection of images by photographers killed in Vietnam and Indochina. We showed up for the art and history (plenty of that) and came away with a wonderful conversation with three university students from HCMC who were also taking in the long and beautiful history of the country. Remains of the Citadel in the Imperial City of Hue. 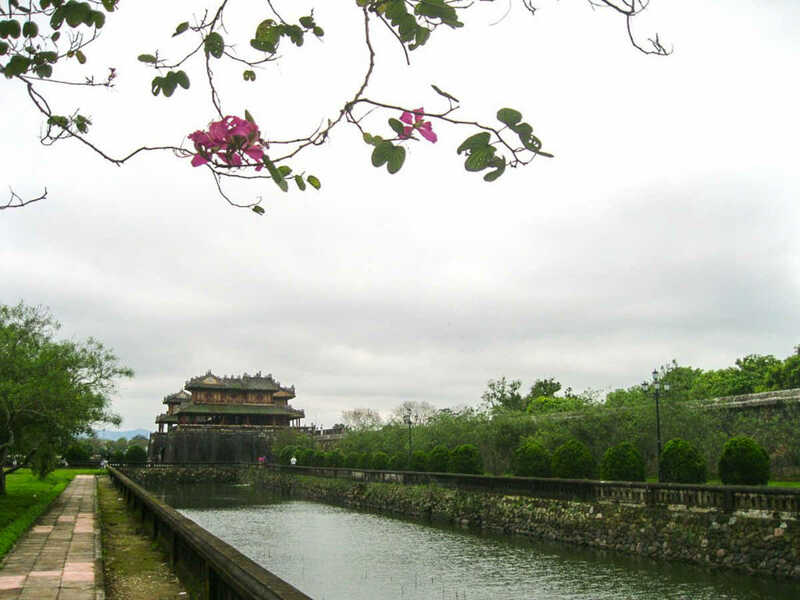 The vast Hue Imperial City and Citadel (which can also be visited by bicycle) is a reminder of Vietnam’s strategic location and its powerful past. Given French and Chinese history here, with seemingly perpetual struggles for power and forces of oppression, it’s easy to see why local Vietnamese people today are generally just relieved not to be living in a war zone at wartime. But the past is quickly giving way to the future. Rebuilding is part of the vernacular here, going hand in hand with reunification. HCMC boasts a new bright glass skyscraper. China Beach south of Da Nang is lined with resorts and villas. Hanoi’s crazy Old Quarter is filled with sounds of construction and cranes are lined up like power poles. For first-time visitors to Vietnam, allowing time to connect with people and to observe changes underway across the country is key, no matter the specific itinerary. InsideVietnam Tours will show you the way; the reward is in realizing the past is past, and present-day, peaceful connections bring joy. Some links on this page may have been placed by companies from which TravelPast50.com receives compensation. This compensation may impact how and where products are mentioned within a post. Opinions expressed here are the authors’ alone, and have not been reviewed, approved nor edited by these companies. Thank you for the tips. We’re thinking that Vietnam might be our next trip outside of Europe, so this seems a good place to start. Thanks. We visited Vietnam (and Thailand) on our very first visit to Asia, so it still has a special place in our hearts. Thanks, Nausheen. Let us know when you visit Vietnam. My husband and I are hoping to get to Vietnam next year, it’s been on our list for a long time. Thanks for the tips, especially about the historical piece, which as you point out, is at the forefront of most boomers traveling there. Inside Vietnam Tours looks like an excellent place to start putting an itinerary together and I will defiantly bookmark your page for planning. I am also really interested in traditional crafts there. Were you able to take in any artisan areas I should keep in mind? Will also make sure to read all the other posts you have for the country. Besides HCMC and Hanoi, we only stopped in Hoi An and Hue. Hoi An is known for its tailors (custom clothing on the spot). Sapa in the north (we didn’t visit) is one of the main centers of textile crafts. Have fun and keep us posted. You can ask more advice via our TravelPast50 Travel Community on Facebook. Nice introduction to Vietnam. If one was to do all you suggest, how much time should be planned for Vietnam? Also, is it realistic for an American to plan and travel on their own in Vietnam without tour operators or travel agent planning? Wendy, we spent two weeks in Vietnam (well, 13 days) and divided our time between HCMC, Hoi An, Hue, and Hanoi. I think two weeks would allow you time to do everything mentioned in this story, and more. We chose to spend more time in the cities versus running out to the islands or Halong Bay….but we could have squeezed that in, too. Our motto is: More time is better. Thanks, John. Wishing you happy travels. Your first paragraph was exactly what I have been thinking: do I really want to visit Vietnam in view of all my memories of the war? But you are right. It’s the food, culture, and people that make the difference. Everyone raves about Vietnam and visiting and I am certainly more open minded about a trip there than in the past. Not all travel is easy, you’re right. But maybe it’s some of these places where we have preconceived notions that are the most rewarding to visit. Many say the same about visiting Berlin, for example. Thanks for your note. Thx so much for this post, Kristin. I’ve not yet bent Vietnam, but am certainly open to going in the future as they produce great cocoa (and chocolate!) there. Interesting to hear that it is your fav world cuisine! I wasn’t aware of their cocoa production. I do know that my next trip to Asia will include a return to Vietnam. As I worked on this story, I really wanted to re-photograph the whole trip! 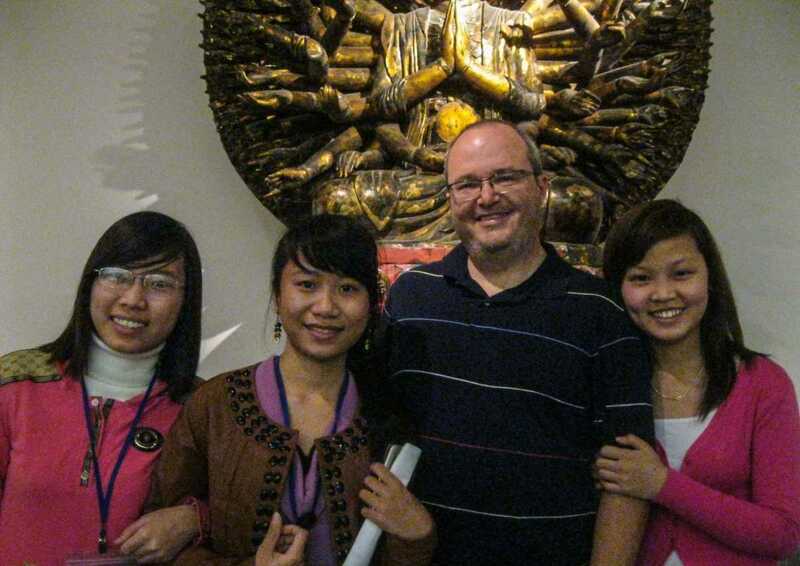 I loved Vietnam and its warm and friendly people; I would love to return. I enjoyed reading your article. Great memories! I’ve been hearing wonderful things about traveling in Vietnam. I’d like to take a guided boat tour combined with time for independent travel. The food is also definitely a draw. Enjoyed your images. Thanks. I wholeheartedly agree with mixing it up, a combo of guided and independent. We get more out of each part that way. David and I are visiting Vietnam for the first time early next year so your tips will come in handy. thanks. I’ll be following along. Hope you enjoy. I am from South Africa, we are group 9 people planning to spend two weeks in Vietnam I feel is gonna be fantastic. Thanks for the tips! Very nice list. i am about to visit vietnam next month, Thanks for this helpful list. Thanks, Harvey. I hope you’ll circle back and tell us abut your visit to Vietnam. Have fun. Thanks for the note. We updated this a couple years ago, and will be revising and adding more, since we are in Vietnam right now! Thanks for reading.